HOME / model kits / misc. Sci-Fi Kits, Motorcycle Kits, Monster Kits, Construction Kits, Figure Kits, and more! 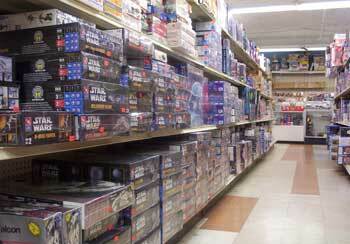 Scale Model Supplies carries many plastic model kits such as Star Wars, Star Trek, Gundam, monster kits, figures, superheroes and more! We even carry some kits that are out-of-production, so if you are looking for something obscure, contact us with a specific request. We may just have it in stock!